Instagram is one of the most popular social channels in the world today; it is also one of the most powerful marketing channels, especially for content marketing and engagement. It has achieved rapid growth in 8 years, reaching 1 billion users in June 2018. This is why Instagram has been rolling out new features left and right, including a side-swipeable feed (Instagram’s quickest update that only lasted a couple of hours), and the ability to post the same photo to multiple accounts among others. Here are some of the top Instagram trends we’re predicting in 2019. From 100 million users at the beginning of 2017, to over 400 million daily active users by the end of 2018, there’s no doubt that 2018 was the year of Instagram Stories. You can expect that number to go up in 2019, as Instagram Stories continues to come up with new features such as filters, gifs, templates and stickers. Although Instagram still rules as the ‘most engaged’ social network, the past year still saw a decline in engagement numbers for Instagram posts. 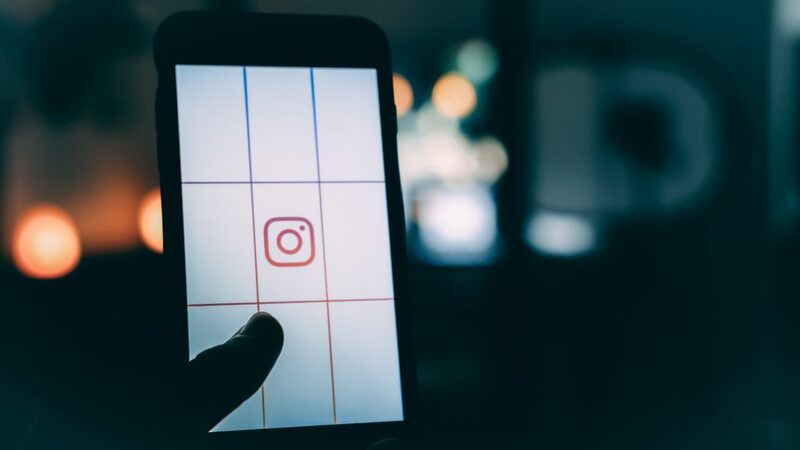 Whatever the reason for such–be it users following more accounts, Instagram prioritizing personal content or people opting to watch Stories–Instagram Stories make a great supplement, in case you’re looking for other channels to engage your followers. The Stickers feature, which allow you to post polls, countdowns or a question box for your followers, provide a fun way for both brands and influencers to engage with their followers via Stories. In 2019, we might be seeing these stickers coming to Instagram Stories ads, for brands know that their ads aren’t just simply being viewed, but also engaged with. We may also see branded Instagram Stories stickers, similar to branded Instagram Stories GIFs and branded face filters, which celebrities like Kylie Jenner and Rihanna launched in 2018. For instance, Kylie’s face filter allowed people to find the right shade of Kylie lipsticks by trying it on your Instagram camera. This was a genius marketing tactic as not only did it encourage people to buy her product, but also follow her–you could only unlock the filter if you were a follower! You can expect Instagram Stories to roll out AR filters for brands to use in 2019, as these are currently in beta testing. Gone are the days when brands would send over items for influencers to ‘subtly’ include in their posts. Brands have now been more upfront about working with influencers–2018 saw brands taking influencers on sponsored trips and experiences for them to post about it on their accounts. The term ‘influencer’ has reached mass consciousness, and depending on where you are on the side of the spectrum, you either hate them or want to be one of them. If you’re one of the former, you may be one of those people sick of the staged poses and overly post-processed photos, calling for more heartfelt captions and genuine photos. Expect authentic influencers to continue being a big thing in 2019. Accounts that post pretty photos are a dime a dozen on Instagram, but real people with real stories that resonate and reel you in are hard to come by, especially on a platform that promotes living a ‘perfect’ life. Followers want to know that the influencers they look up to are just like them, and that results in better relationships between influencer and follower, leading to better engagement numbers. Afterall, people trust peer recommendations more than ads. Another Instagram trend we’re seeing more of is the platform banking on the ‘small guys’. Yep, bigger isn’t always better, especially this year on Instagram. Marketers have always talked about the advantages of working with microinfluencers (influencers with 10,000 to 50,000 followers, and are seen as industry or topic experts), but this year, we’re seeing the rise of the nanoinfluencer. Nanoinfluencers are influencers that have between 1,000-10,000 followers. Unlike their more popular counterparts, they are merely people with influence in their community, have more personal relationships with all their followers, and thus appear more approachable and ‘real’. With more people becoming more aware of influencers, brands are turning to these nanoinfluencers because when they do endorse something, it would likely come off as a friend recommending a product, which complements the trend that Instagram is moving toward: authenticity. Other than that, these nanoinfluencers boast higher engagement rates yet demand lower pay. According to Markerly, the number of followers is inversely proportional to engagement rates. It’s usually the accounts with the less followers that have higher engagement rates, since they can focus on communicating with their followers. Engagement rate is one of the top metrics marketers look at to measure an Instagram campaign’s success. Nanoinfluencers aren’t the only one expected to make waves on Instagram in 2019: microbrands are also on the rise. Microbrands refer to small businesses that can bring in revenues that can compete with larger retailers, though armed with smaller teams and the power of social media. They are able to do this through the hyper-targeting abilities of Instagram ads, creating products for a very specific customer. In fact, big brands are starting to take notice of their smaller competitors, and are responding by making their own in-house microbrands. For instance, the fashion brand Aritzia branched out to create a new brand Wilfred. We’ve laid our top picks: Instagram Stories, influencer authenticity and the rise of nanoinfluencers and microbrands. What do you think will be a big Instagram trend this year?